There was a huge commotion outside my window this morning. A crow had stolen a baby blue jay from its nest. At first there was one crow and one blue jay making the noise that caught my intention. Soon there was another crow and three more blue jays in this endeavor, all squawking and chasing each other in between the braches of the tree outside my office window. The crow that had the baby blue jay in it’s beak, was pretty skilled dodging between the branches. 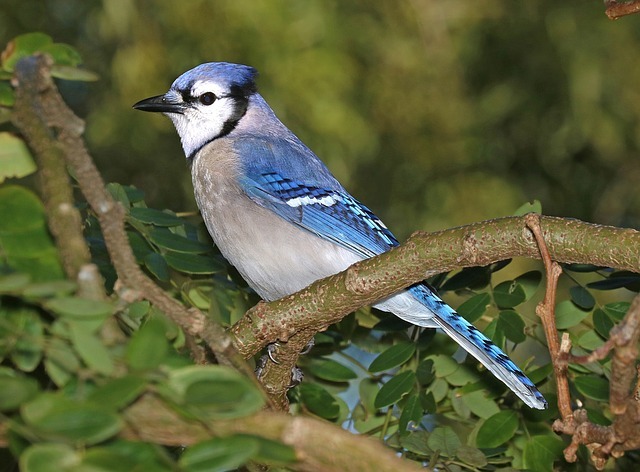 The blue jays, however, were relentless, flying at the crow from every angle and dive-bombing it one after the other in quite an elaborate flight formation. Eventually, I saw the baby jay fall from the crow’s beak and the blue jays divided their resources between the baby bird and chasing the crow away. If you had a crisis at work, how quickly would you call for help and how quick would others respond? Often leaders think that they have to tackle “the tough stuff” alone. If you are in a management role, you have a team, even if that is only one other person. Involve others early in the process of solving the problem. This results in action learning that allows them to develop new skills. The longer you wait to get others involved, the lower the trust will be on your team. If they consistently see you shouldering the burdens, do you think they feel trusted by you? By calling urgently for help with her squawking, the mother blue jay quickly attracted the help of other birds. The two crows far out-weighed the jays in size, however, by their teamwork and quick adaptation to the crow’s behavior, the jays were able to rescue the little bird. Including others from the outset of a crisis is acknowledgement of your regard for team members’ skill and most of all, it is a statement of your trust in them. Strong mutual trust is valuable when dealing with a crisis and mutual trust is a key component of stability and retention of your workforce. If you would like more tips on how to improve trust and retention on your teams, reply to this email.